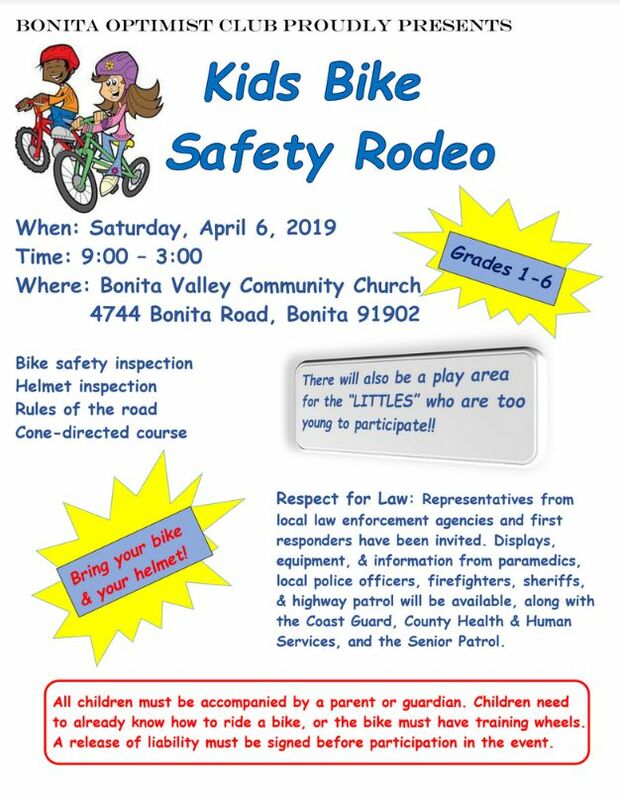 Includes bike safety inspection, helmet inspection, rules of the road, cone-directed course, play area for “littles”, and more! Bring your bike & your helmet! Event is great for kids in grades 1-6. Respect for Law: Representatives from local law enforcement agencies and first responders have been invited. Displays, equipment, & information from paramedics, local police officers, firefighters, sheriffs, & highway patrol will be available, along with the Coast Guard, County Health & Human Services, and the Senior Patrol. *All children must be accompanied by a parent or guardian. Children need to already know how to ride a bike, or the bike must have training wheels. A release of liability must be signed before participation in the event.